I got asked by Julia to review this book and here it is. By the way this book was released last year so you can go and buy it. I was surprised at how much I enjoyed this book as I don't read that much middle grade because I don't really like it. I got some odd reason didn't look up the synopsis when I first got asked to do a review. I just went into the book not knowing anything. 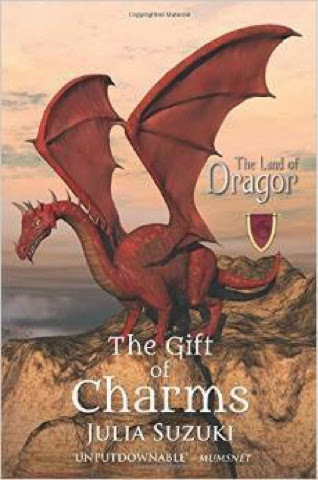 I think the author had a great take on dragons and I also thought it was an original take on dragons which is hard given there are so many dragon books. I thought the plot line was good, all the caracters were well developed and the world was also well developed the only thing I didn't like about the book was that it was a bit young for me but I found percy Jackson a bit childish so you might think different. All in all I am giving this book 4/5. I would still recommend that you read this even if it is just as a fun read.